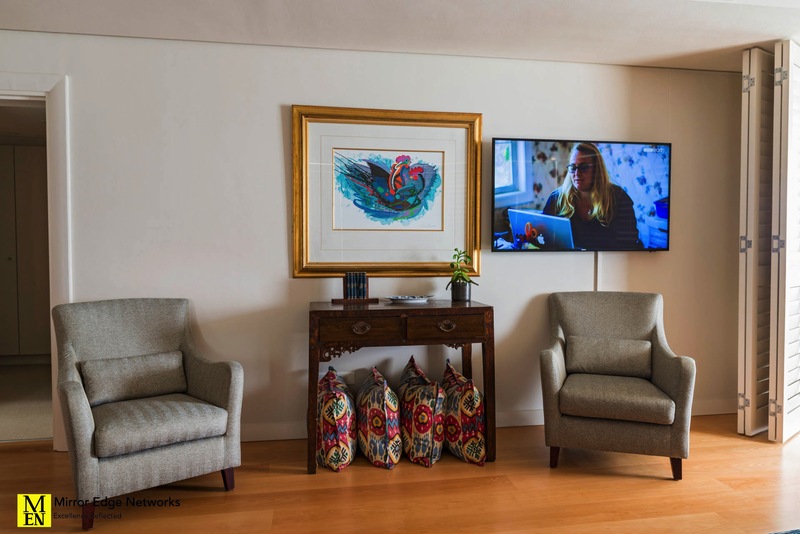 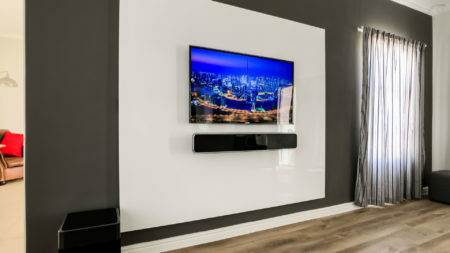 One of our regular clients moved into her new apartment in Eventide and required a the television system to be installed. 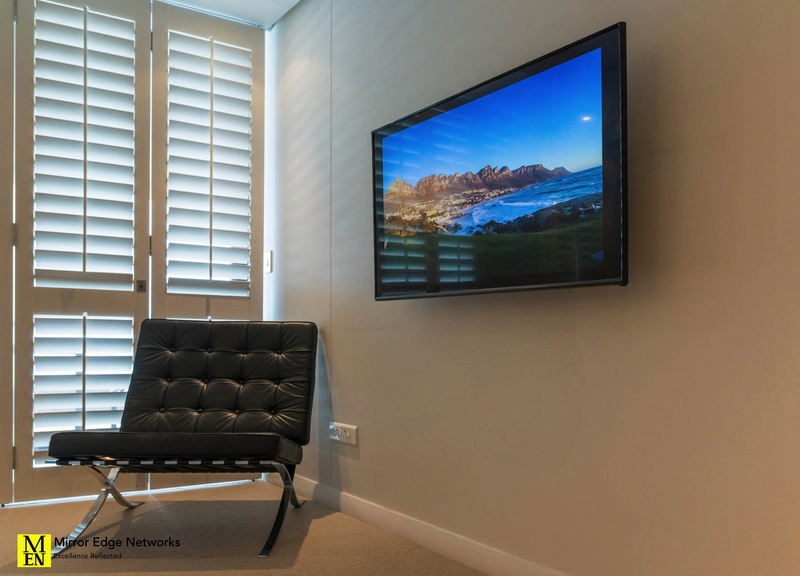 Our installation includes DSTV provided by Smart Village as well as high speed fibre internet and wifi. 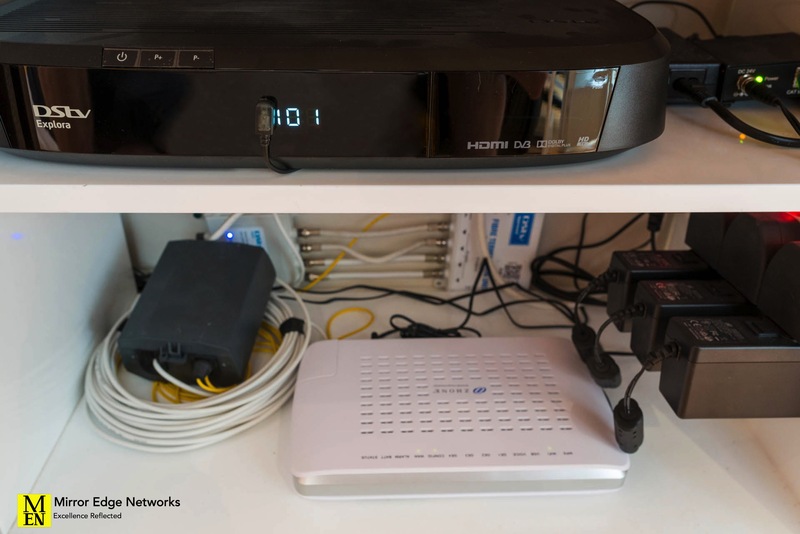 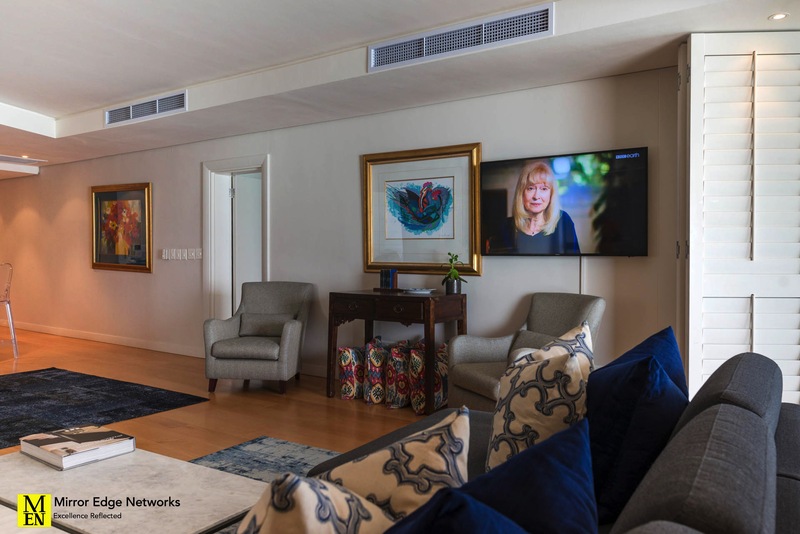 Three DSTV decoders are installed in a new Multi-View DSTV installation. 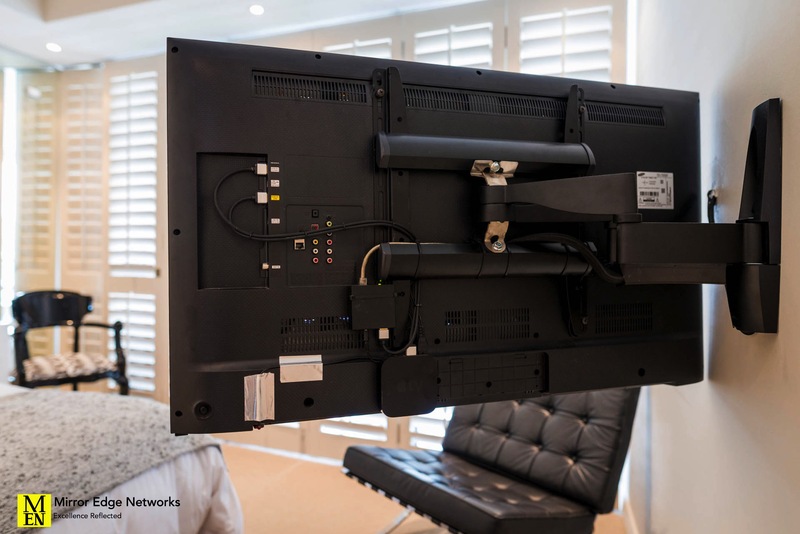 High definition video distribution to each of the three three installed televisions is over CYP High Definition Video transmitter & receiver units. 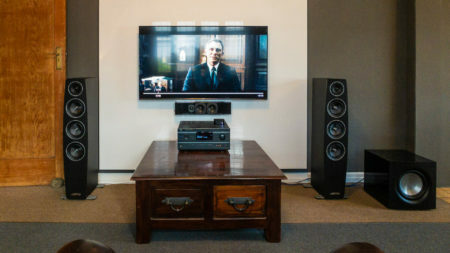 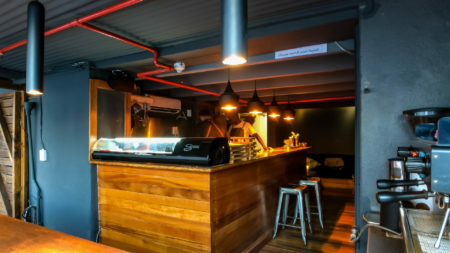 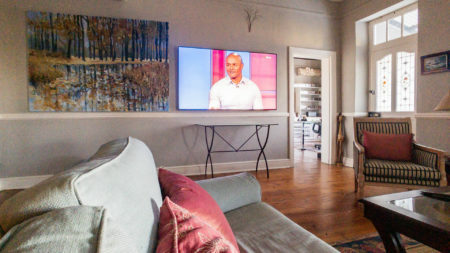 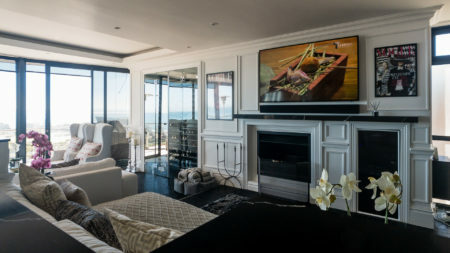 The main lounge television is a Samsung 55″ Ultra High Definition television on a Vogels pull and rotate bracket with an Apple TV installed to the rear. 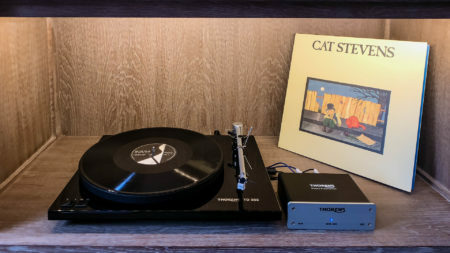 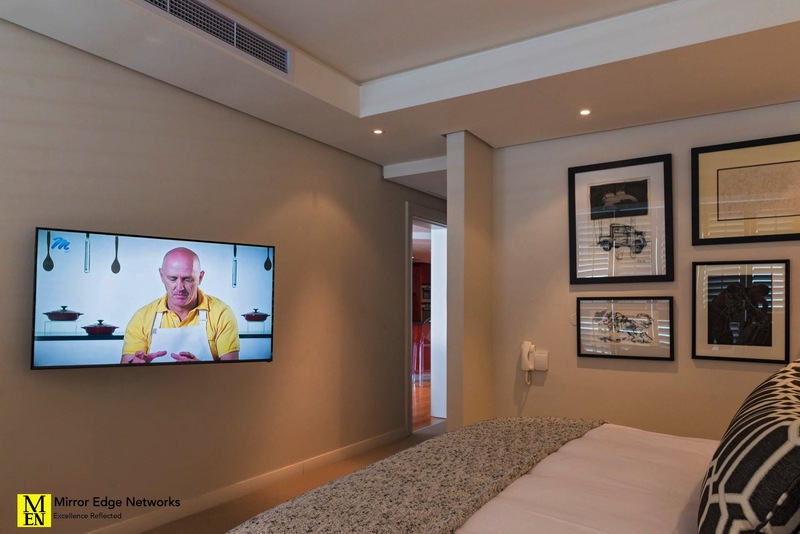 The master bedroom television is a Samsung 40″ High Definition television on a Vogels pull and rotate bracket with an Apple TV installed to the rear. 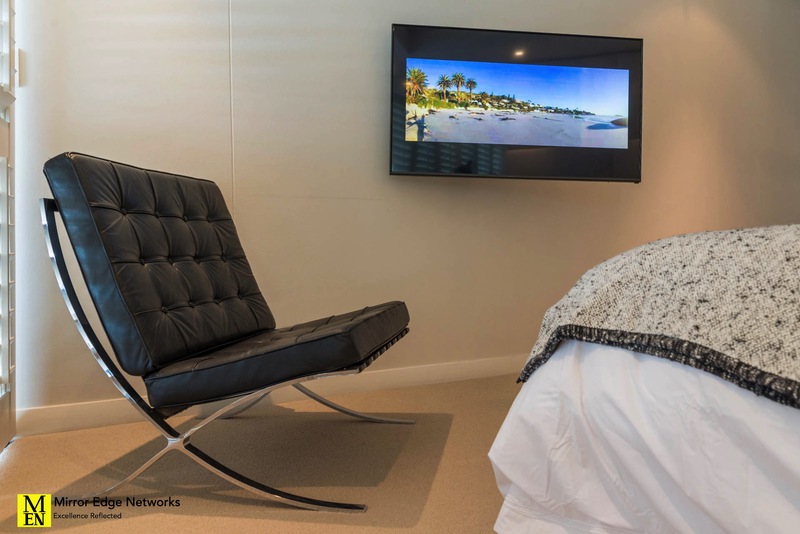 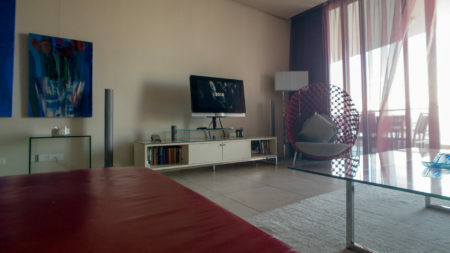 The back guest bedroom is a Bang & Olufsen BeoVision 8 32″ television in white on a floor stand. 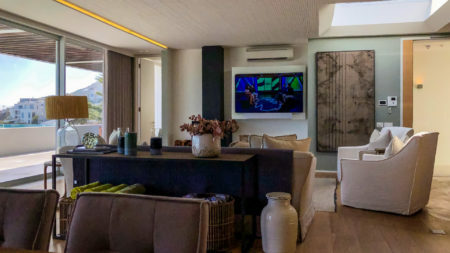 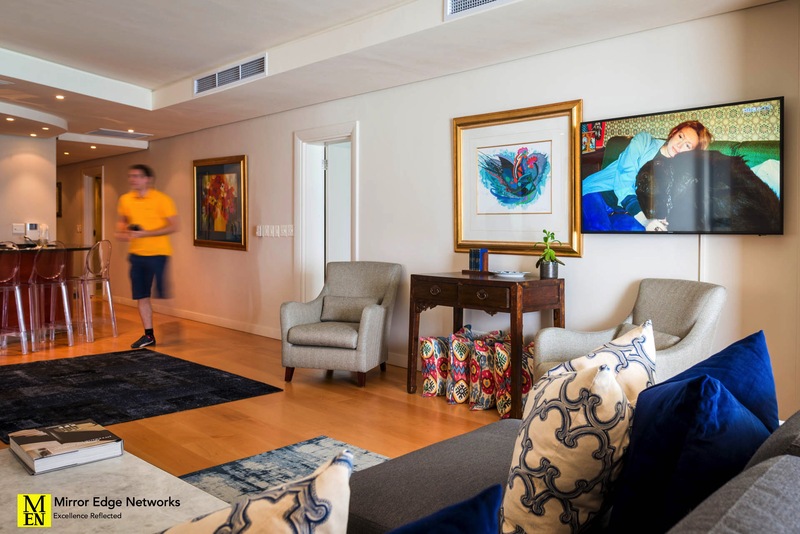 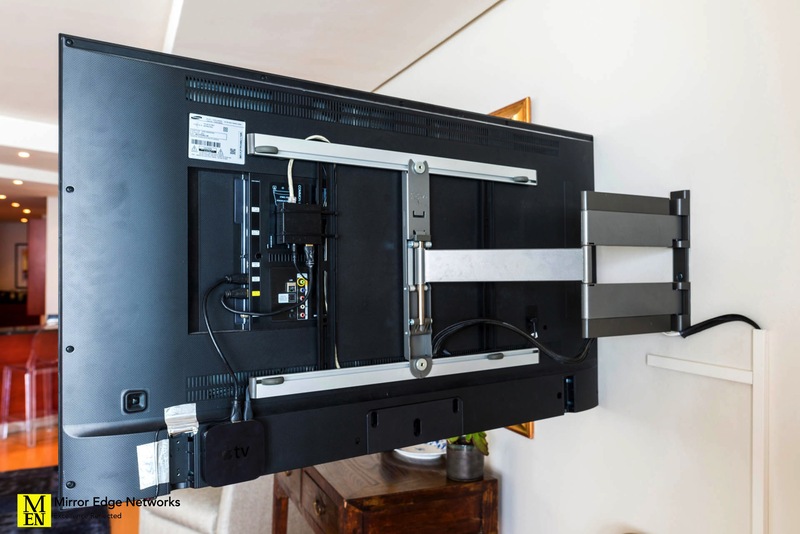 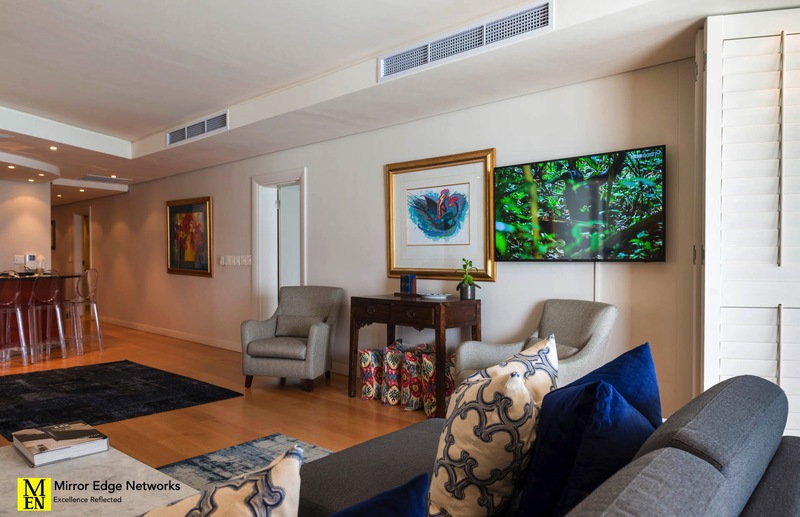 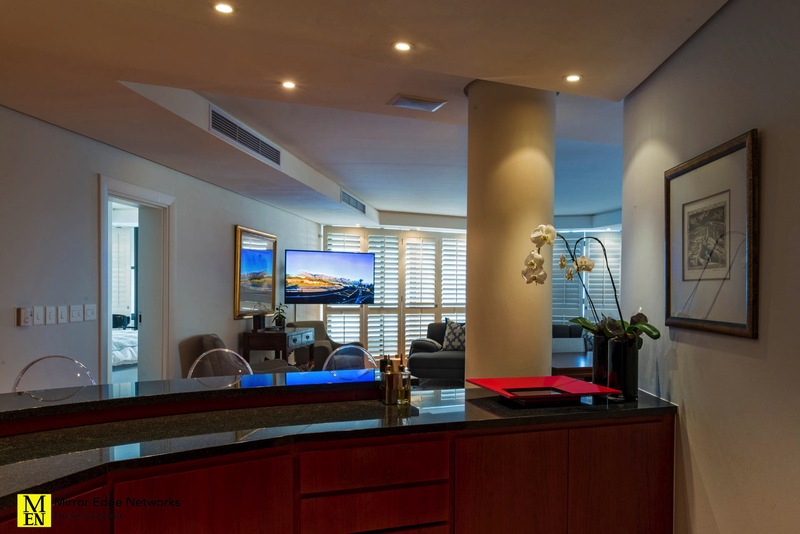 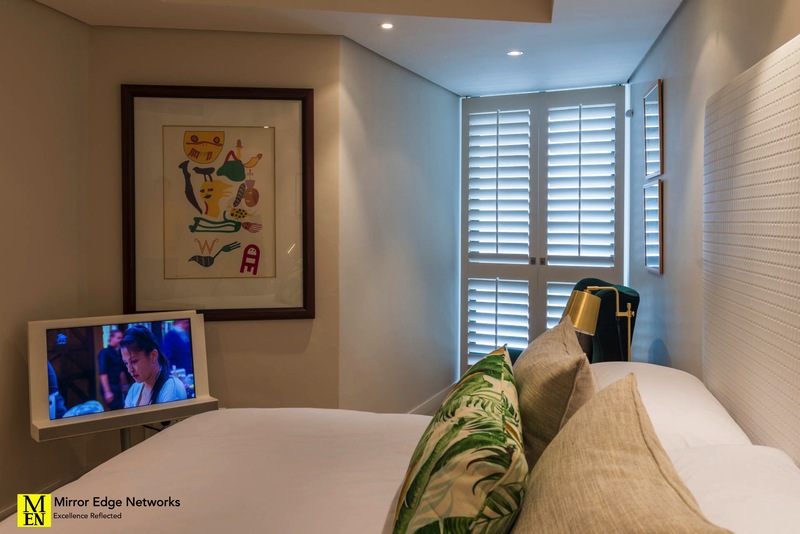 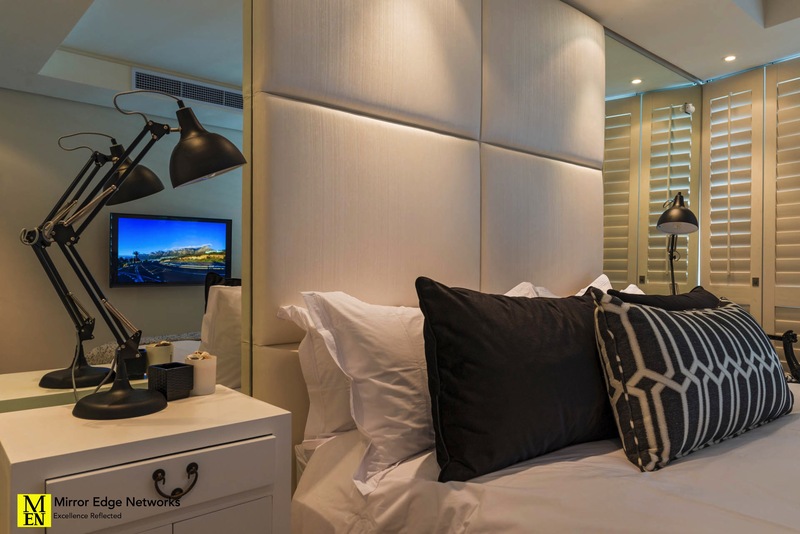 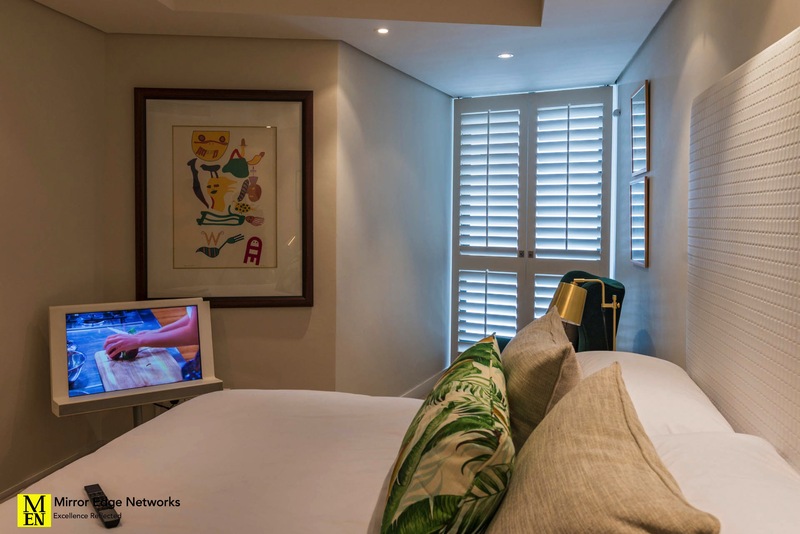 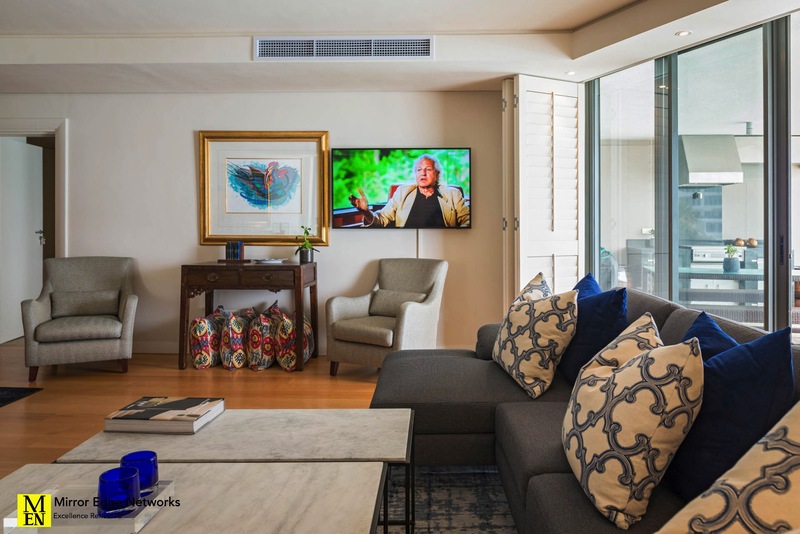 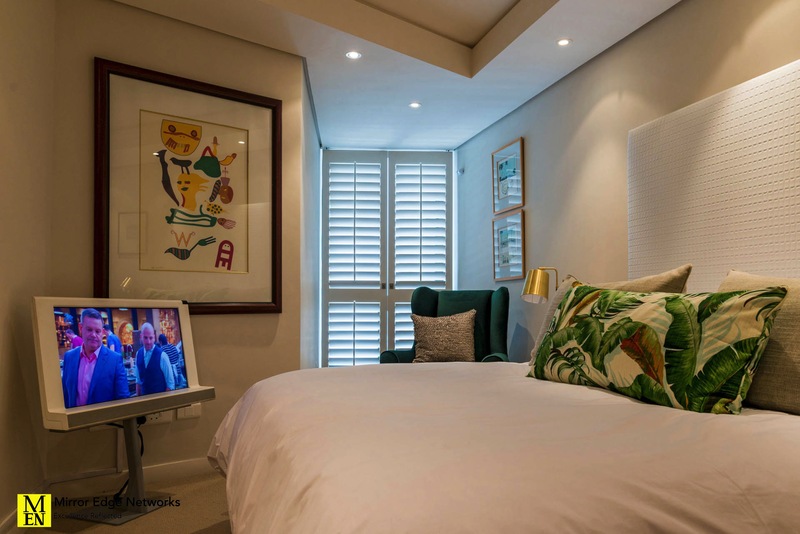 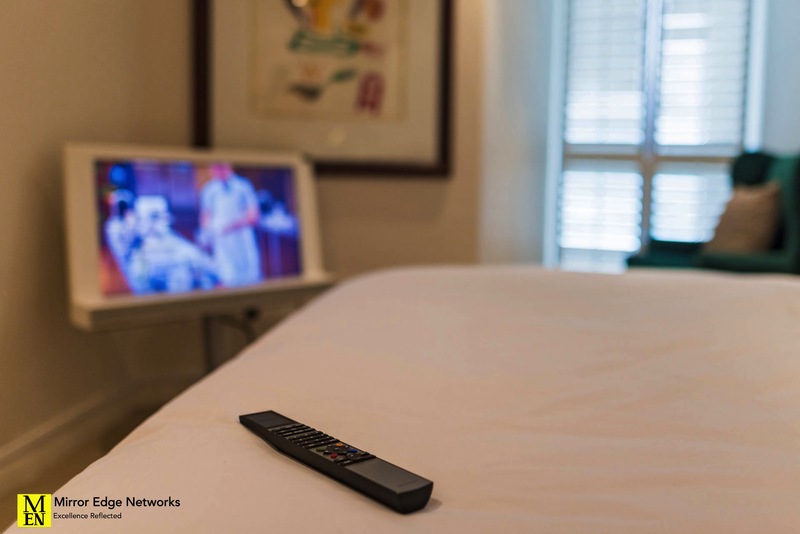 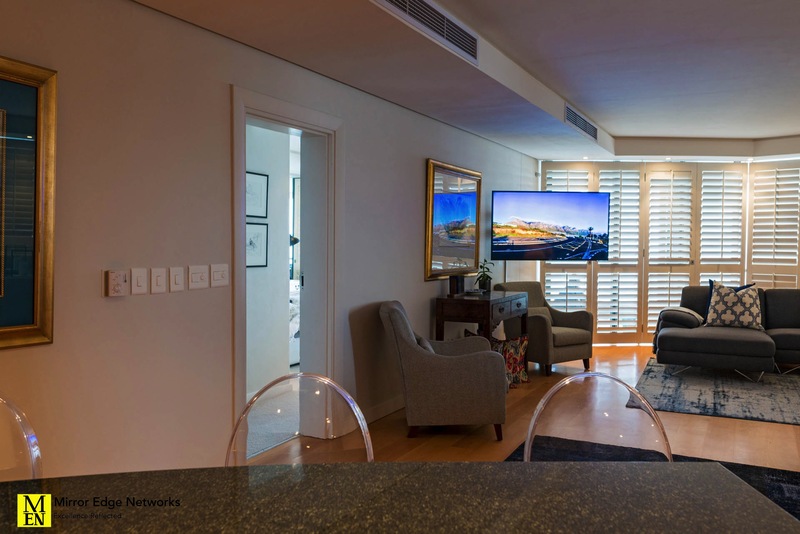 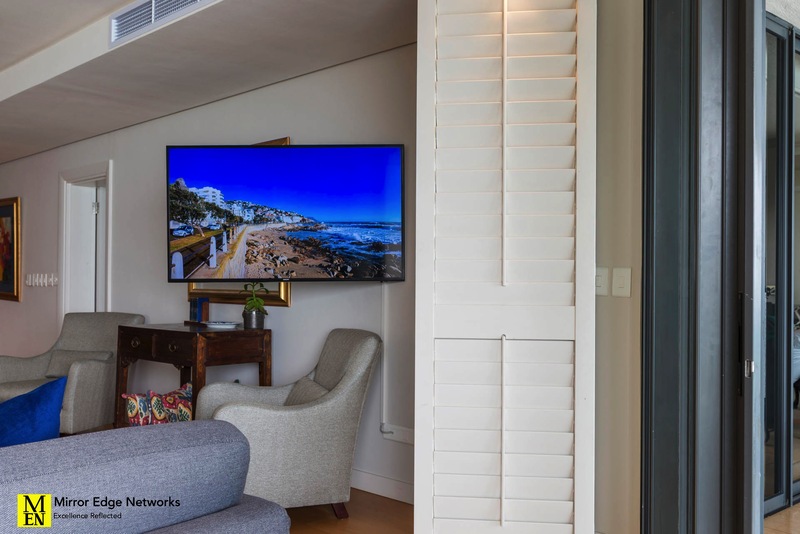 The DSTV decoders and television distribution equipment is installed into an ODE floating wall box with sliding doors to neatly hide all technology in the guest bedroom. 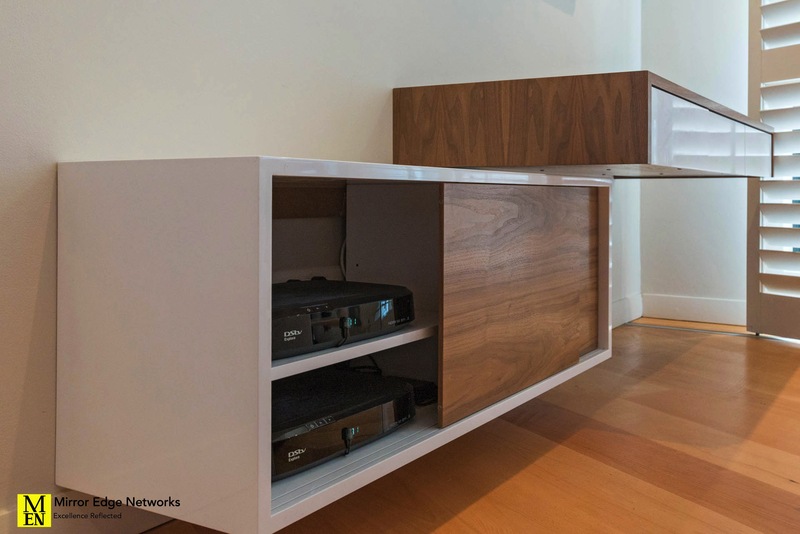 Total installation time was 12 hours.